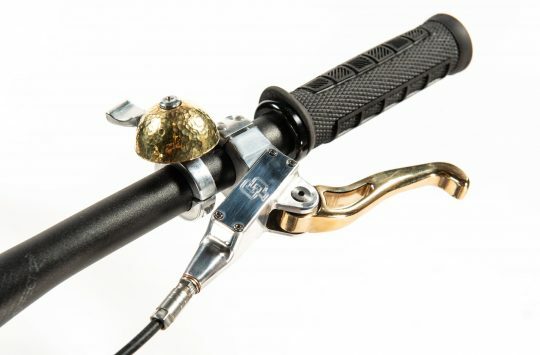 For any of you following Sick Bicycle Co, you will already know all about the Gnarpoon. 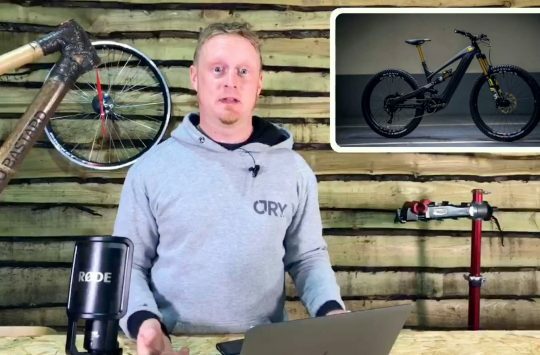 Originally teased back in May 2017, the Gnarpoon was the original steel full-suspension bike that the small UK bike brand wanted to make, a bucket list bike which was designed, built, tested and eventually shelved. Although plenty of prototype versions of the Gnarpoon were built, the Sick Bicycle Co. team never felt truly happy with the performance of the bike, so the decision was made to can it and move on to newer ideas. But dreams never really die, and over a year on from our original spy sighting, the Sick Bicycle Gnarpoon is back and the project has grown into something a little bigger. Available in steel or alloy! First of all, the bike itself is now said to be riding well with the help of a new member of the Sick team named Lee. 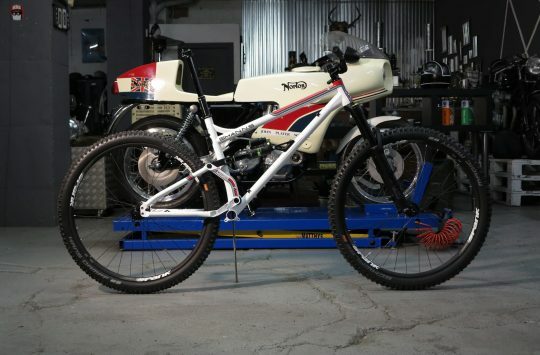 Apparently, after just a few months fettling with the Gnarpoon design and geometry Lee was able to build the bike that Sick always wanted to release. The frame is a single pivot design with an alloy yoke driving the rear shock. It’s not too dissimilar to what Dartmoor or Production Privée is doing with their bikes. Then things start to get “Sick”. 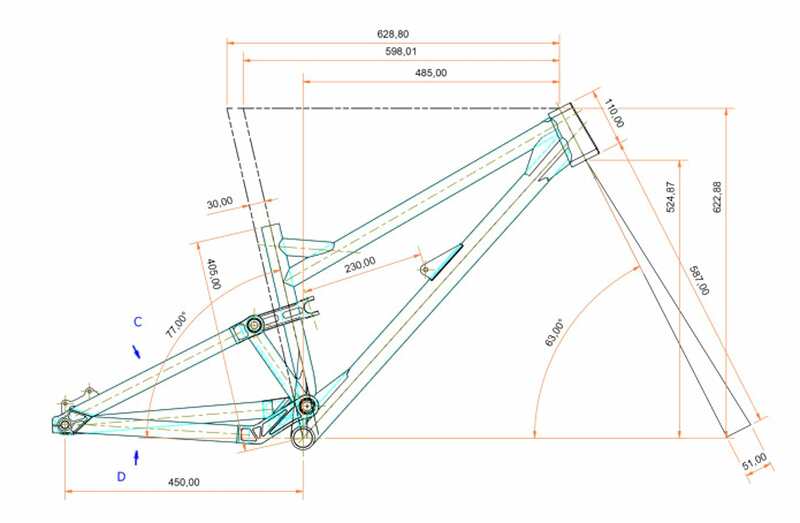 The Gnarpoon has been designed so that riders can build it up as either a 160-150mm or 180-170mm bike. Rear suspension travel is adjusted by using either a 230 x 65 or 230 x 60 shock, while the front end is built to run either single crown or dual-crown DH forks. 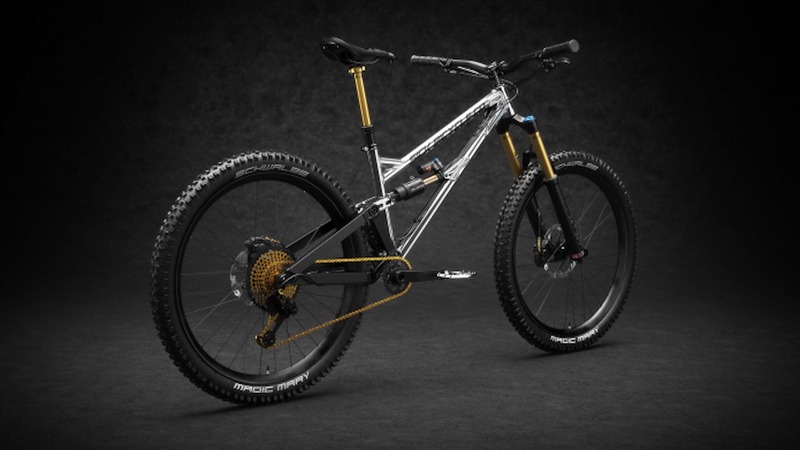 Build it as a downhill bike, enduro bike, or trail bike. 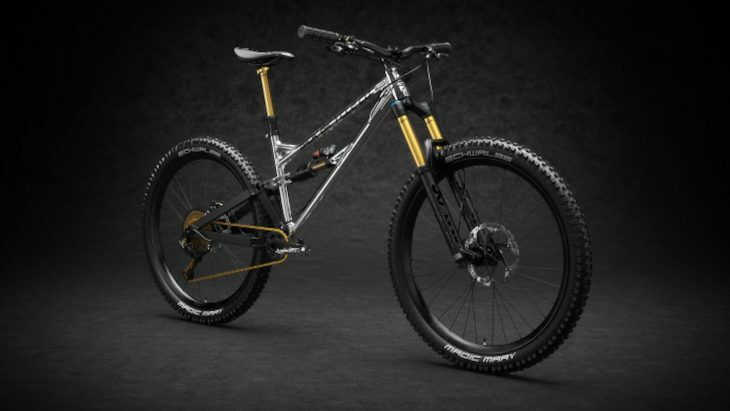 This versatility means that the same frame can be built up as a full-on freeride/park/DH bike, or lighter weight enduro/trail shredder. If that wasn’t enough, Sick is offering the Gnarpoon in either alloy or 4130 steel front triangles, which are interchangeable and use well-established standards like a 148mm rear hub spacing and threaded BB. Replaceable dropouts also come as standard and allow the rear triangle to accept future updates to hub standards. Sick has done a number on the geometry of the Gnarpoon too, with the slack full-susser sporting a 62° head angle and 77° seat tube for an efficient climbing position. The bike is built around 29in wheels but there’s space to run 27.5+ wheels and tyres if you wanted to. Sick Bicycle Co. Gnarpoon geometry. While Sick isn’t offering custom geometry on the Gnarpoon it is offering custom paint, and decals and will even add your own custom message, flag or colour match your bike to your chosen build kit. With the design aspect of the bike out of the way, Sick turned its attention to manufacture and due to their largest audience being in Canada and the U.S they’ve decided to have the Gnarpoon manufactured on that side of the pond. Building a new frame is one challenge, but creating a new manufacturing hub across the globe is an altogether different and much larger challenge. Sick isn’t on their own though and has managed to team up with Frank Walderton, AKA Frank The Welder. Frank The Welder is quite the icon in the MTB world and was responsible for some of the hardest hitting freeride frames and components the MTB world saw back in the early 2000s, remember Spooky Cycles? Sick has also teamed up with Frank The Welder, who will supply the UK upstart with warehousing facilities too. With a bikes design, storage, fabrication and even build kits pre-ordered all that’s left to get these puppies into production is finance, and this is where Sick Bicycle Co. has turned to Indiegogo. Still a little way to go. Fans of the Sick Bicycle Co. brand are able to donate money or even preorder Gnarpoon frames and complete bikes to help ensure that the U.S made bike makes it to production on time. Frames start from £1749 while complete bikes are listed from£4349. At the time of writing the project has 7 backers and has raised 6% of the £30,000 total goal. For more info on the Gnarpoon, or to get involved head over to the Indiegogo page here, and if you have any thoughts or ideas about the newest Sick Bicycle feel free to leave them in the comments section below.